Try out these fun Thanksgiving activities the whole family will love! Thanksgiving is almost here! This holiday is all about family, food, and of course fun! For many families, the Thanksgiving festivities span several days, and the turkey is only a small part of the event. If you are looking to spice up your holiday celebration this year, try out some of these fun Thanksgiving activities that everyone will enjoy. One of the best things to do with the family is host a board game tournament. Try out a Thanksgiving themed game of Scrabble or get moving with a silly game of Twister. Games such as Pictionary and charades are great activities that everyone can participate in. Organize some fun prizes for the winners and the competition will be fierce! A great way to keep kids entertained is by setting up a Thanksgiving craft table. While many crafts are geared towards children, having an older cousin or a grandparent step in to assist will create holiday memories to last a lifetime. Some fun craft ideas to try include painting and decorating plaster pumpkins, making hand-print turkeys, and creating pinecone bird feeders. For many families, football is one of the highlights of Thanksgiving. While your family might be content to sit back and just watch it on TV, change things up this year. Usher everyone outside for a family game of football. Create teams and mark out the “end zones” on your lawn or at your local park’s grassy field. This will help everyone get moving before the big feast and will also give you a little bit of peace to finish up in the kitchen. Try out some of these fun Thanksgiving activities to make this Thanksgiving the best one yet! 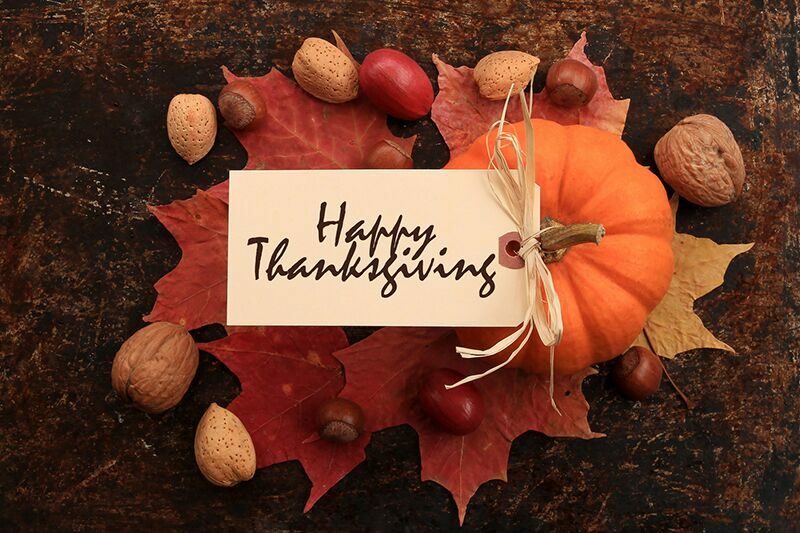 We at John Scott Insurance would like to wish everyone a happy Thanksgiving from our family to yours. Contact us for all your personal and commercial insurance needs.